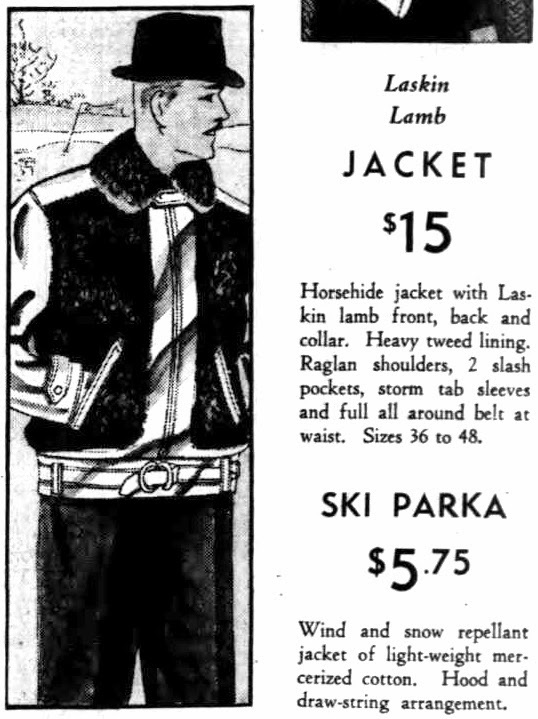 Here is the next series of five ads, dating from 1935 to 1936. 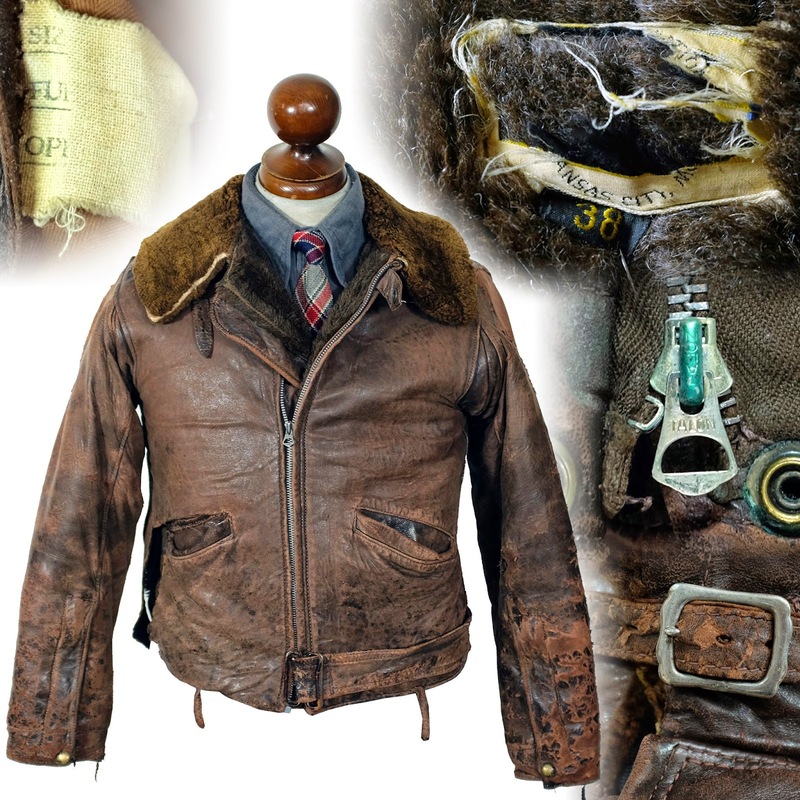 These jackets were produced in different color combinations, although the overall cut and styling was similar from maker to maker. 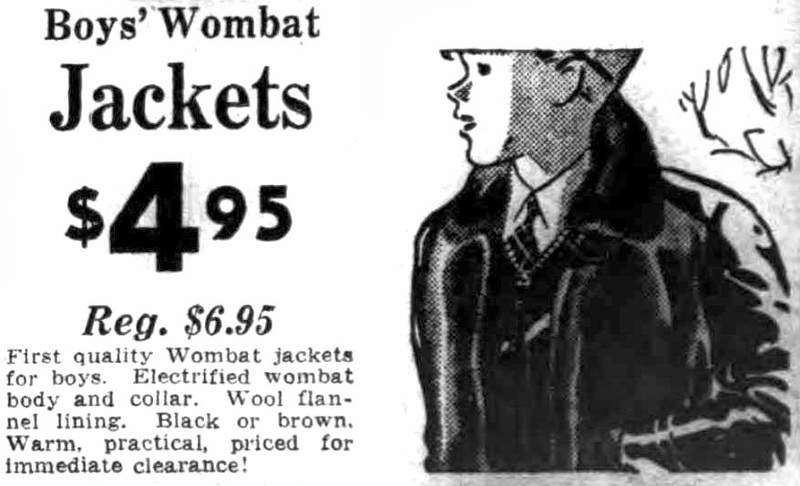 Another trade name for mouton- "Electrified Wombat". Sounds like a band name. The drawings are nice, but it's great to find a photograph product shot from 1936 that shows what these were like in person when new. 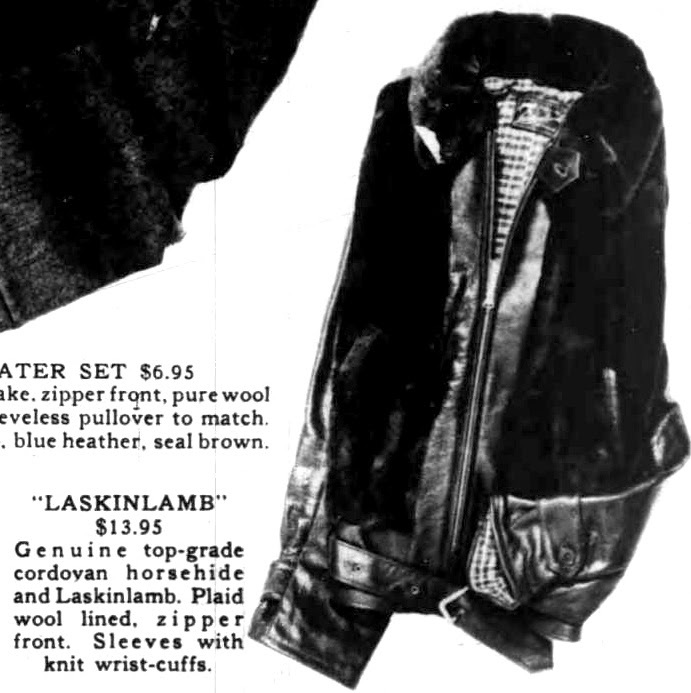 This shows how light and soft the horsehide was in many of these jackets. 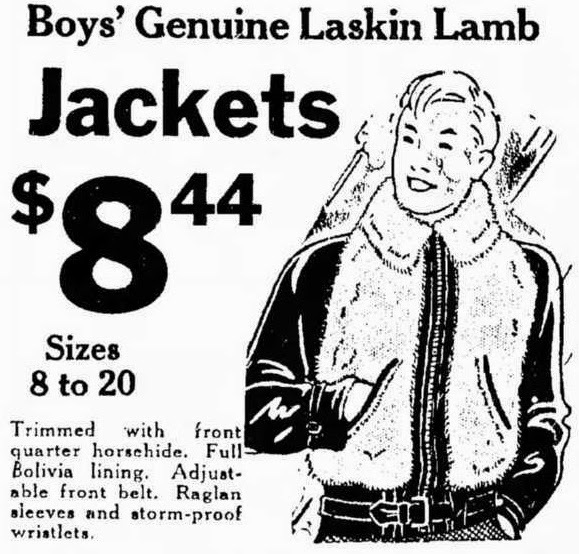 When you look back through old ads, and collect original jackets, you find that the people who insist a jacket has to weigh eight pounds to be of quality, and that originals were like that are flat wrong. But that's another rant for another time. While many of these were advertised towards the boys/teens market, they were obviously also produced in men's sizes. This manufacturer made them all the way up to size 48. I wonder what one in that size would fetch on the market today?